Cloverfield has held up pretty well since the (nearly) 10 years since its release. Sure, the dialogue isn’t the sharpest and T.J. Miller got on my nerves, but the suspense is well done and there was some actual emotional resonance with these characters. Portions were ported over from previous DVD and Blu-ray reviews with some minor updates in the movie review section (so some references might be outdated) and new material for the video and audio portions. With the success of Lost and Alias, J.J. Abrams brought to the screen, as producer, one of the most highly hyped movies on the Net… ever, second only to Snakes on a Plane. 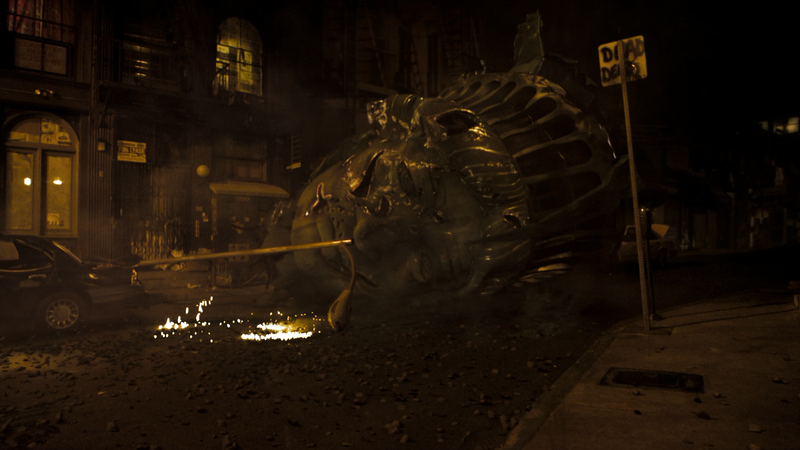 Cloverfield reeled people in with an iconic shot reminiscent of Independence Day where the head of Lady Liberty comes crashing through the street. I personally don’t like buying into Internet hype (never did with Snakes) and I decided to pass on this one. Boy, was I wrong. Cloverfield more or less takes place in real time and is filmed entirely using the shaky-cam technique made popular in the last two “Jason Bourne” movies, so if you hated Paul Greengrass’s style, you’re going to loathe this one. A group of friends hold a going away party for Rob (MICHAEL STAHL-DAVID) as he is set to move to Japan. In his circle of friends are brother Jason (MIKE VOGEL), Jason’s girl Lily (JESSICA LUCAS), acquaintance Marlena (LIZZY CAPLAN) and best friend Hud (T.J. MILLER), who is the man documenting the night’s events on Rob’s camcorder. During the party, the building shakes and they think they’ve just experienced an earthquake (in NYC mind you) only to realize that the city is under attack… by some kind of monster! Soon enough they are running for their lives to escape New York City before the monster gets to them. This is the first film that actually lived up the hype. As I said, I usually don’t believe Internet/fanboy hype but this actually was one hell of a ride, albeit a short one as the movie, minus end credits, clocks in at around 73-minutes. 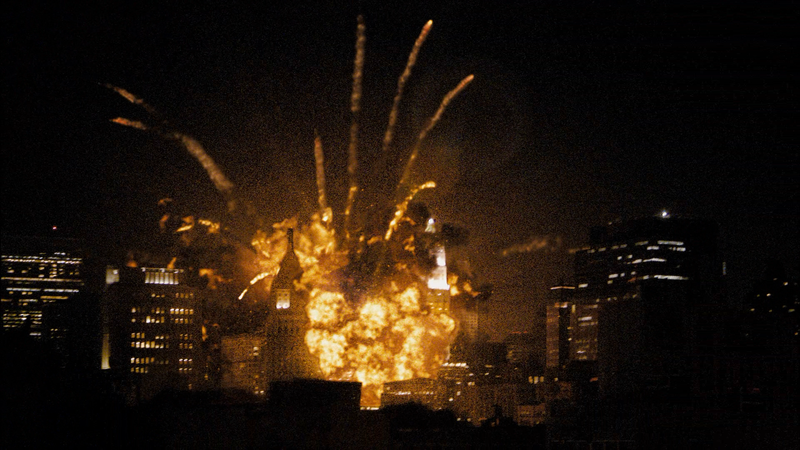 However, it might because of the fleeting pacing and chaos that made Cloverfield such a great experience. There’s very little character development — no time for it really — yet writer Drew Goddard (Buffy the Vampire Slayer, Lost) manages to creep in bits and pieces here and there to flesh a couple of them out just enough to make us care about their fates. Outside of the movie, the choice of director was probably the most interesting part. Matt Reeves previously worked with J.J. Abrams on Felicity as a writer and director but his previous theatrical release was 1996’s The Pallbearer, a film I think very few have seen. And although that movie was quite funny, it didn’t exactly foreshadow a future in the Sci-Fi Monster Action Disaster genre (**UPDATE: And later two impressive entries in the Planet of the Apes saga or upcoming The Batman project**). His use of the shaky-cam style can be confusing as we try to follow where each character is, but at the same time, it also brings the audience into the character’s state of mind as we watch everything unfold as they do. Although the cast is made up of unknowns with most coming from TV, Lizzy Chapman for instance was most recently on the now cancelled series, The Class. On the same token, you also don’t have the inevitable distraction of some A or B-list movie star and instead can focus on each character and their plight. As for their performances, they are all good with only the beginning (pre-attack) being at times spotty. If I had one complaint, it comes in the form of the monsters. Are they scary? Sure. Do they have a background? No. Do they need an origin? No. But the actual design of them aren’t very original, in fact these spider creatures that crawl in dark places and pounce on people looked very familiar while watching the movie, it was only afterwards when I remembered what other movie also used them: The Mist. Same idea where the spider jumps on someone bites them and the person eventually dies. That said, the visual effects are incredible and given the amount of work that must’ve gone into placing everything into the camera style, it’s amazing. 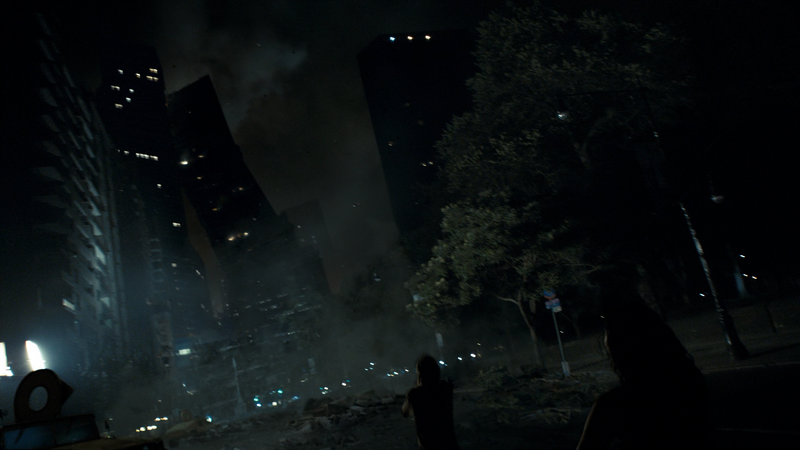 In the end, Cloverfield is what Godzilla and War of the Worlds should have been. I’d even say this is the 21st century version of Earthquake or The Towering Inferno, disaster movies taken up a notch in white-knuckle suspense. This release comes with a glossy slip cover and inside is a redemption code for the Digital HD copy. The commentary is also on the 4K disc, all others on the Blu-ray. Special Investigations Mode – A very nifty feature Paramount cooked up for this Blu-ray release. What this does is shrink the film to around 35% of its original size and pushes it to the upper right hand side of the screen. On the left portion of the screen is a map of Manhattan the shows us colored dots depending where the Humans, Military and Monster is. On the bottom portion of the screen is various factoids. While I did enjoy this feature, its not very interactive and simply gives us another way to watch the film. I will say it made watching the film a lot easier since you can focus your eyes at other things when the movie becomes too shaky. Commentary by Director Matt Reeves – A very interesting commentary with Matt Reeves being the lone duck. While I enjoyed it and found it very informative it could have been better if there was involvement from J.J. Abrams or some of the cast. Document of 01.18.08: The Making of Cloverfield (28:16; HD) – A great documentary that shows us some of issues Matt Reeves and J.J. Abrams had with the film. A lot of stuff was new to me, like how the film was fairly top secret. 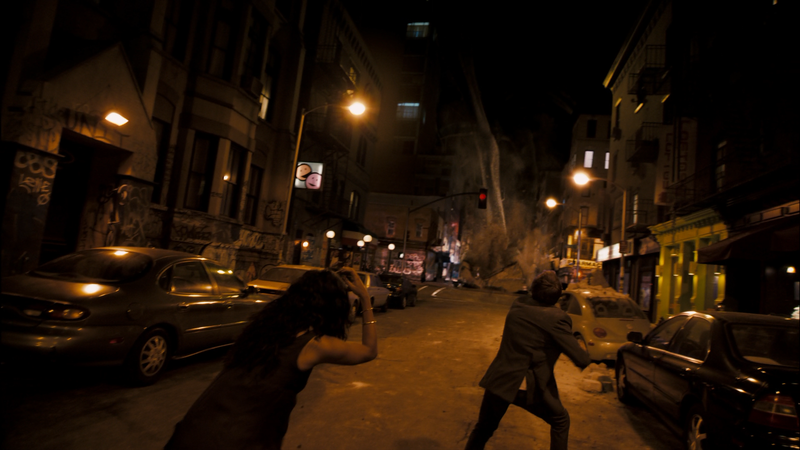 Cloverfield Visual Effects (22:29; HD) – All 10 of the different effects used in the film are presented here. A lot of post production stuff was added in that I would have never known about. I Saw It! Its Alive! Its Huge! 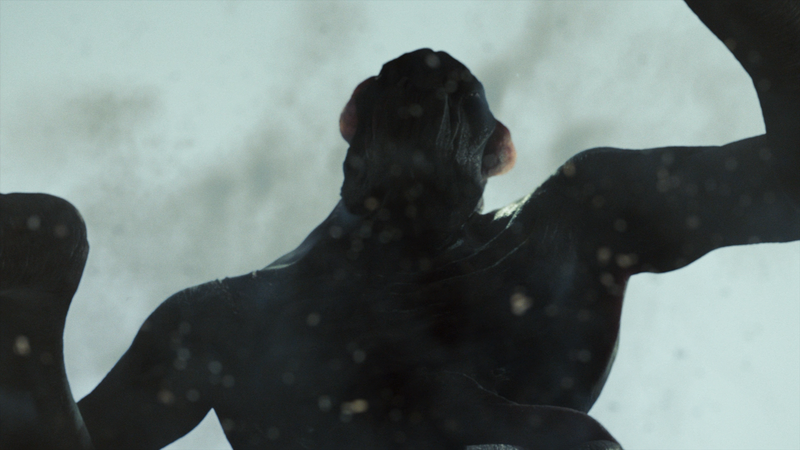 (5:49; HD) – A short, yet interesting look at how the monster was made. Clover Fun (3:56; HD) – Don’t be fooled, this is a gag reel. Deleted Scenes (3:25; HD) – Here we are presented with four deleted scenes that were cut from the film. While I enjoyed some them, I am not sorry to see these go. Some are mere seconds that amount to nothing. Presented with or without commentary. Alternate Endings (4:29; HD) – I don’t know if you can really call these alternate endings. It’s the same thing that happened in the Theatrical cut, but with a slight change to the film stock inside the camera from Rob and Beth’s day at the fair. Presented with or without commentary. 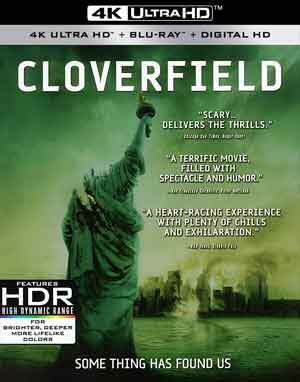 Cloverfield gets the 4K treatment and although this does have the shaky-cam style, it still looks great with the 2160p high-definition transfer and colors bolstered using HDR10 (or Dolby Vision for those with compatible televisions). Detail does appear sharp and nicely defined with some fine grain in some shots while dark levels are relatively deep. There’s no upgrade here with the audio, however the Dolby TrueHD 5.1 track still is amazingly strong specifically when the monster attacks and that’s when the LFE channel kicks into high gear shaking the theater room and, depending on the thickness of the walls, probably beyond. Dialogue levels were pretty good as well, projecting through the center speaker with decent clarity but in keeping with the found footage style. 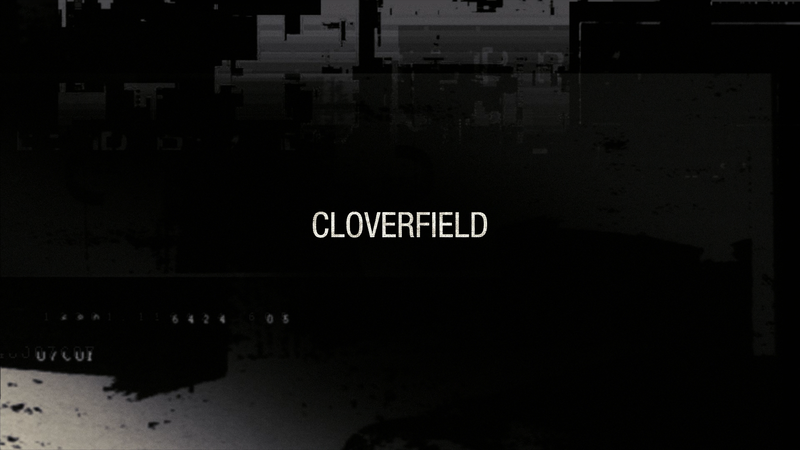 Overall, Cloverfield has held up pretty well since the (nearly) 10 years since its release. Sure, the dialogue isn’t the sharpest and T.J. Miller got on my nerves, but the suspense is well done and there was some actual emotional resonance with these characters. This 4K release is solid enough though not entirely sure how big of an upgrade it is. Still, for what will probably be a good price down the line, no harm in adding this into your 4K collection.